The IX9915 integrates an error amplifier with a precision reference and a 350V Darlington transistor in a single package. 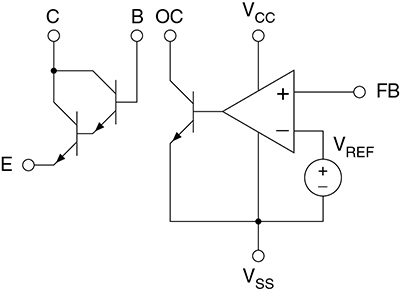 The error amplifier can be operated from 1.3V to 12.5V over the operational temperature range. The breakdown voltage of the Darlington transistor is 350V. The integrated combination of a 4-terminal 431 type shunt regulator with a high voltage Darlington transistor is ideal for use in LED lamp bleeder control circuits. The CPC5712 is a special purpose Voltage Monitor with Detectors integrated circuit that is used in various high-voltage telephony applications such as VoIP gateways and IP-PBXs. The device monitors the TIP/RING potential through a high-impedance divider (resistor isolation) to derive two programmable signal level detects, polarity information, and a scaled representation of the phone line voltages. 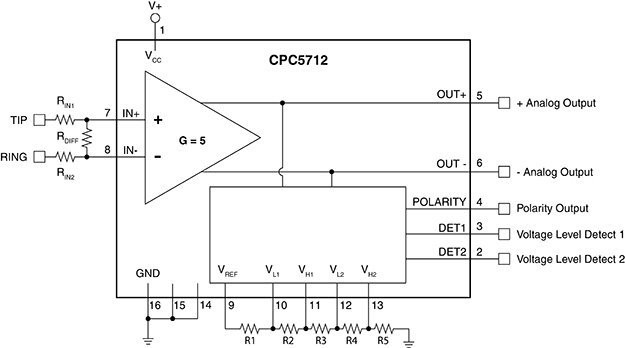 In use, the resistor divider and the high input impedance of the CPC5712 make the circuit practically undetectable on the line. 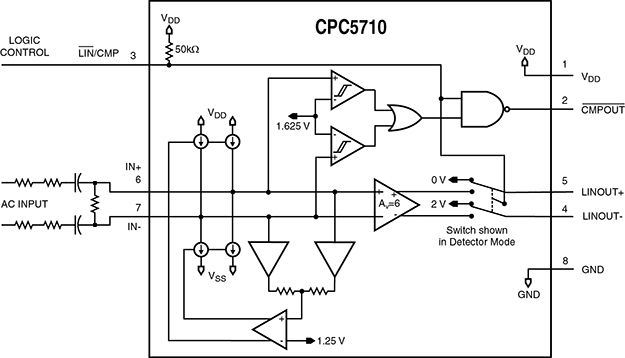 The CPC5710N is a selectable dual function CMOS special purpose integrated high-impedance input, fixed-gain amplifier and an internally set voltage level comparator for telephone line monitoring. The high (>40dB) common-mode rejection ratio makes the CPC5710N an excellent choice for signaling detection, line condition monitoring, discrete voice recording and CID buffering applications. In addition to voice applications, the CPC5710N is ideal for data applications such as embedded modem designs utilized in broadband set-top boxes.